This Rubbermaid TCell Oil Air Freshener Refill dispenses a consistent level of citrus fragrance to consistently neutralize odors. 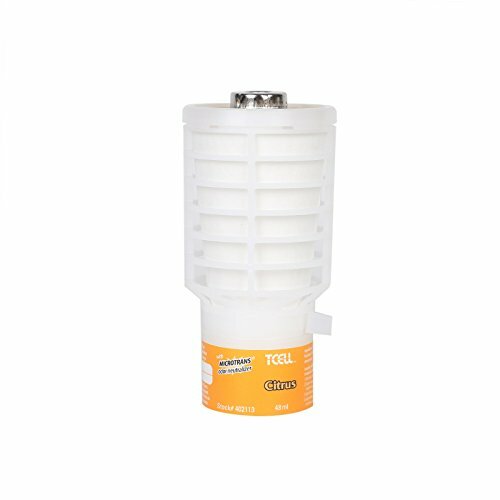 This TCell air freshener offers up to 33% refill source reduction over traditional 30-day systems. This oil air freshener refill lasts 60 days in a standard washroom. With no propellants or added VOCs, this odor neutralizer refill is designed with fuel cell technology that uses the washroom’s natural flow to evenly distribute fragrance. Plus, the air care refill features a refreshing citrus scent that’s sure to please.